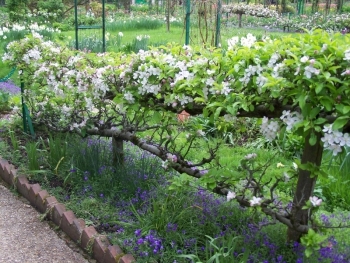 Trees in blossom make Giverny especially beautiful in April, like many gardens. 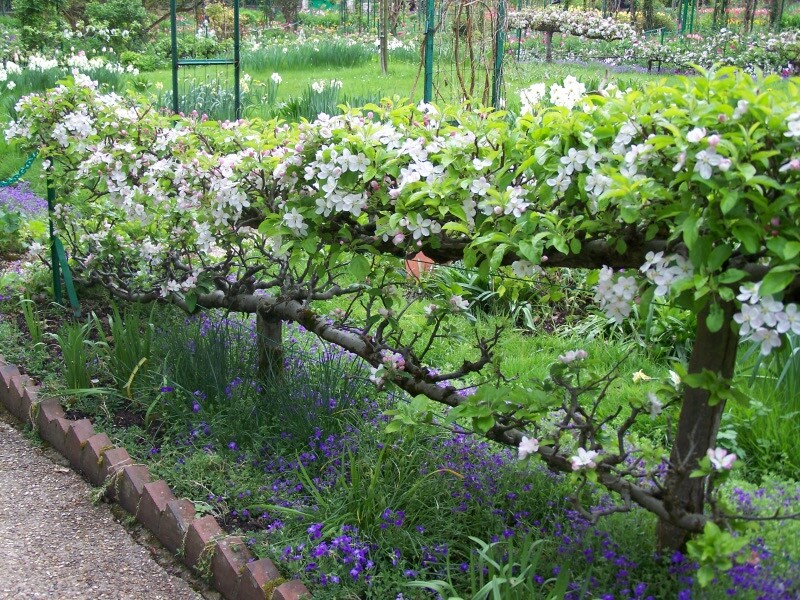 Monet’s garden was originally an orchard. When the painter-gardener transformed his garden into a living painting, he kept few fruit trees: they looked too common for him, Monet preferred more exotic species. But he still had espaliered pear and apple-trees leaning against the high stone walls. He also cultivated them around a square lawn pruned in a shape that is called cordon (rope, maybe?). It is quite common in Normandy and looks very pretty. When the apple trees are very young, two or three years old only, they are severely pruned. The gardener keeps one branch only on each side of the trunk. In Monet’s garden there is an upper tree and a lower tree, and they cross. The purpose for this clipping is to make lovely hedges and to obtain bigger apples, as they get a lot of sunshine and water. It is not always very convincing that the trick works, but at least the apples are easy to pick up… and very tasty! 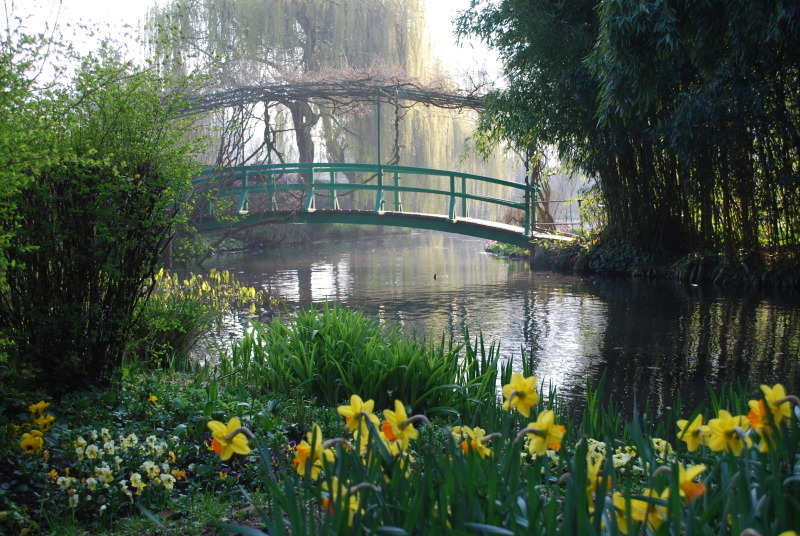 This is how Monet’s garden looked on April 1st, the very first morning it was open this year. The morning sun enhances the pure lines of the Japanese bridge, whereas the air is full of scent from spring flowers like daffodils, pansies and hyacinths. The light of this early hour has pink and blue notes and a very special vaporous quality. Everything looks renewed and fresh, ready for a new start.